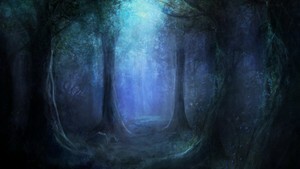 The Elven Vale Nighttime SoundSet brings the warm embrace of a peaceful darkness falls over the Elven forest. The thrumming of insects rises and falls and owls hoot happily in the deep dark green of safety. You can add a gentle fall of rain, and of course, if you like, a few sinister monsters plying the boarders of this Elven haven. This SoundSet includes five original compositions by Benjamin Loomes featuring his monk like vocal meditations.